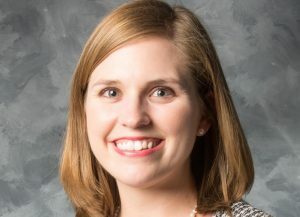 Meg Burton is the current communications manager for Brasfield & Gorrie. At Brasfield & Gorrie, Burton has the privilege of managing a four-person team, mentoring interns and seeing the results of well-executed internal communications improve employee engagement. Burton takes pride in working for a company that has high ethical and moral standards, and she looks forward to continuing to grow and develop as a professional. Ultimately, Burton hopes to one day become a senior public relations leader. During her time at The University of Alabama, Burton studied public relations and served as an ambassador for the College of Communication and Information Sciences. Burton was also actively involved in the Public Relations Council of Alabama as well as the Public Relations Student Society of America. As a graduate, Burton remains heavily involved in the PRSSA parent chapter, Alabama PRSA. Burton described the public relations program at UA as one of the best programs in the nation, and she said was well-prepared for her career. Burton attributes a significant portion of her success to the professors at UA who she described as highly involved. As advice for current students, Burton strongly suggests obtaining as many internships as possible. Her three internship positions as an undergraduate paired with her love for writing helped her become the successful public relations professional she is today.